Preparation is key when approaching manufacturers about material bonding. 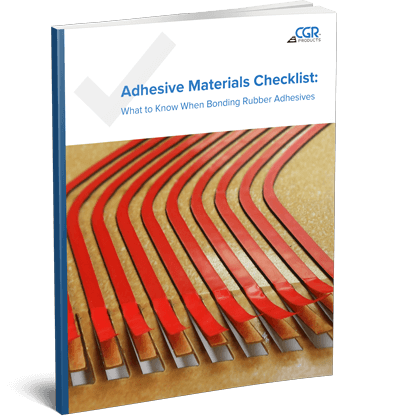 That's why CGR Products created an Adhesive Materials Checklist full of questions to expect during your adhesive materials project. Are there any special storage conditions? The checklist also provides solutions and best practices to ensure your materials are bonded correctly, efficiently and within a faster timeframe. Fill out the form at the right to gain access to your free copy of this checklist and save it for your records.